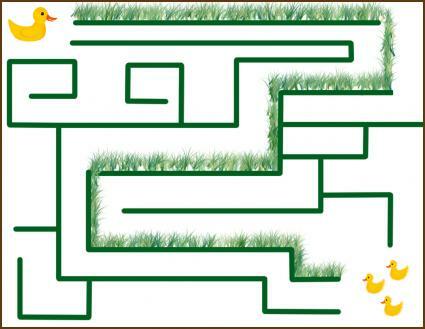 Print a duck maze for your kids. Whether you are searching for material for your classroom or simply want to find some fun activities for your kids to do at home, printable simple mazes for kids can provide hours of entertainment. 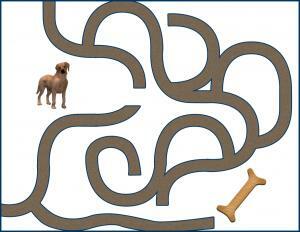 Simple mazes for young children are a great way to help them improve their overall motor skills and spatial perception. Print a maze at home using one of the following four options. The bright, colorful options are sure to entertain kids and introduce them to solving mazes without too much trouble. Click on the photo image or the maze title to open up the pdf for printing. If you need help downloading the printables, check out these helpful tips. 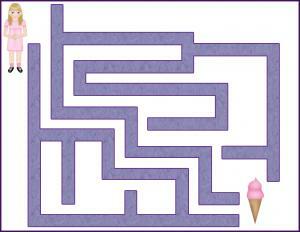 BillyBear4Kids.com: Find 10 different "beginner" mazes for youngsters. Each has a space for kids to write their names, and simple graphics and instructions for them to follow. Activity Pad: Fourteen pages of different mazes give you plenty of options for your child's enjoyment. Some may be a bit harder than others, so look at each carefully before deciding which ones are appropriate for your kid. 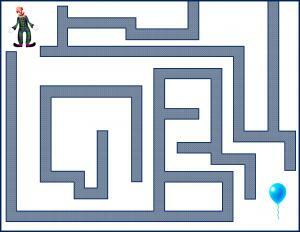 Coloring-Page.net: This website has an extensive list of easy mazes perfect for kids. Each maze listed has a short description of what you'll find for printing when you click on the link. Problem solving skills don't just happen. As your child grows, she needs to be challenged in all aspects of her environment, including school and home. 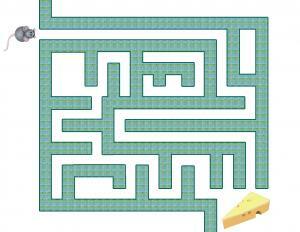 Printable puzzles and mazes for kids can teach your child to think his way through a problem. They also improve a child's ability to understand spatial perception, and mazes can help children with their fine motor skills as well. Printable mazes are not just excellent educational worksheets, but are also activities that are loads of fun. Whether the kids are bored, home bound during a rainy day, or stuck on a long car ride and in need of a travel activity, mazes are a sure way to keep them busy, entertained, and happy.